Marc Clarke recently returned to the DC and Baltimore area after hosting the evening show for the last three years at New York City's 'Radio 103.9' (WNBM). 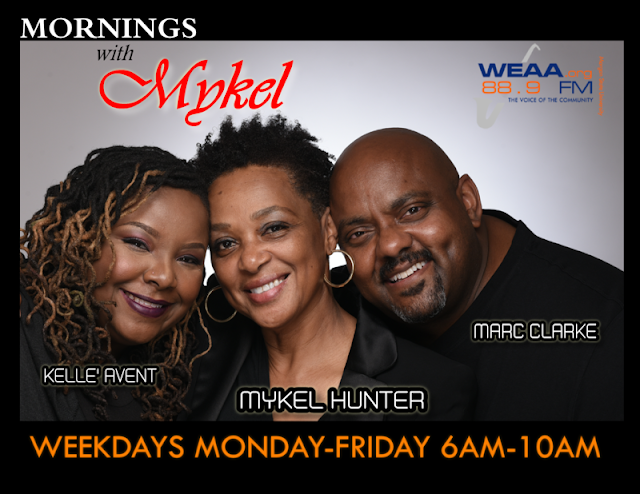 He now joins Morgan State University’s WEAA, 88.9 on the station's new morning show, "Mornings With Mykel," with Mykel Hunter and Kelle' Avent. Clarke will also be paired with Michel Wright on the DC Government Radio show "12 & G" in the evenings on 96.3 HD4. Clarke looking for an opportunity to return to the airwaves in the DC-Maryland area to be closer to his family and to start other business ventures, is a veteran personality who hosted mornings on 92 Q WERQ as well as a former host on 96.3 WHUR. He is married to Allison Seymour the FOX 5 DC Morning anchor. Allison and Marc shared the up's and down's they faced in their journey to "happy ever after" on a special Valentine's Day segment. Marc will announce his next radio gig in the DC/MD/VA area very soon and Baltimore listeners will be able to hear him too!